Why Would You Dip Dog Balls In Glitter? People go all out when it comes to dog grooming, but this latest trend is so bizarre we had to write it up. Apparently a contingent of pet owners are making their pooches look ready for the dance floor by covering their balls with glitter. Patient zero for this oddball decision seems to be the Royal Paws Pet Salon in North Carolina. They made a Facebook post in January showing a few examples of the technique. Needless to say, their customer base was not terrifically enthused by the concept. 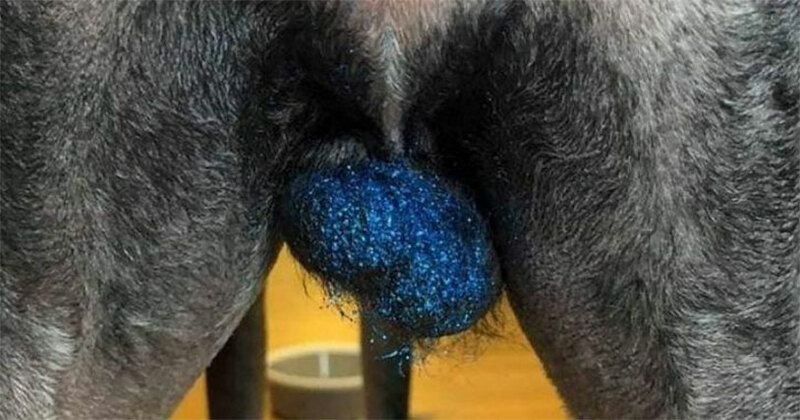 There are plenty of reasons to keep your pet’s nutsack glitter-free. Even though they’re using non-toxic and edible glitter, it’s still not good for your animal’s digestive system and you know they’re going to lick it off. The glitter can also cause irritation on the balls. But if canine fashion is top priority and you’ve got a pet with big enough balls, you might be tempted to go through with it. Just don’t blame us if your dog doesn’t love you as much afterwards. Read more at the India Times.